As Christmas is quickly approaching, now is the time to start thinking about your Christmas decorations. Getting your home ready for the holidays takes time and consideration. 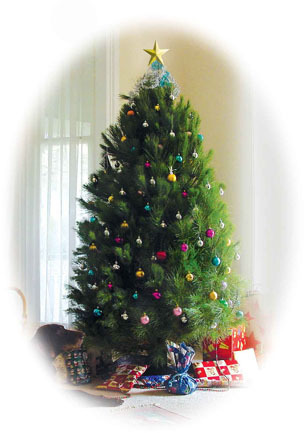 One of the things that you should think about is whether you will get a real Christmas tree or an artificial one. I have had both in the past, and I must say that I prefer artificial. While a real tree may look a little nicer and offer a nice aroma, it can be a huge mess. The last time I used a real tree, I found tree bristles in my home for the next year. I just couldn’t get rid of them, and that is why I stick with artificial trees now. Besides, an artificial tree will last for many years and this is a great way to save money. You will also need to prepare a place for your tree. If you have a large home, this might be easy. My home is not very large and it requires moving the furniture in order to make room for it. We have recently renovated our basement and we are now considering putting it down there because there is space and because it looks great down there. My husband was concerned that we don’t spend enough time down there though, and he thought that we would not be able to enjoy it enough. That decision is still up in the air for us. Now is also a good time to begin thinking about decorations and determining what you need to purchase for the holidays.